The Nigerian official, who is knowledgeable of the discussions, said the Independent National Electoral Commission will announce the postponement later Saturday. He spoke on condition of anonymity because of the sensitivity of the issue. A major offensive with warplanes and ground troops from Chad and Nigeria already has forced the insurgents from a dozen towns and villages in the past 10 days. Even greater military strikes by more countries are planned. African Union officials and representatives of countries supporting the initiative were ending a three-day meeting Saturday in Yaounde, Cameroon’s capital, to finalize details of a 7,500-strong force from Nigeria and its neighbors Chad, Cameroon, Benin and Niger. Details of funding, with the Africans wanting the United Nations and European Union to pay, may delay the mission. Nigeria’s home-grown extremist group has responded with attacks on one town in Cameroon and two in Niger this week. Officials said more than 100 civilians were killed and 500 wounded in Cameroon. Niger said about 100 insurgents and one civilian died in attacks Friday. Several security forces from both countries were killed. International concern has increased along with the death toll: Some 10,000 killed in the uprising in the past year compared to 2,000 in the four previous years, according to the U.S. Council on Foreign Relations. 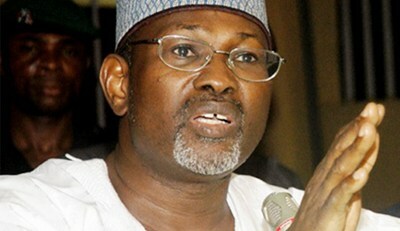 Officials in President Goodluck Jonathan’s administration have supported postponing the Feb. 14 vote. Any delay is opposed by an opposition coalition fielding former military dictator Muhammadu Buhari, though the opposition stands to take most votes in the northeast. Supporters of both sides are threatening violence if their candidate does not win. Some 800 people were killed in riots in the mainly Muslim north after Buhari, a Muslim, lost 2011 elections to Jonathan, a Christian from the south. Analysts say the vote is too close to call, the most tightly contested election since decades of military dictatorship ended in 1999. Jonathan’s party has won every election since then but the failure of the military to curb the 5-year Islamic uprising, growing corruption and an economy hit by halved oil prices have hurt the president of Africa’s biggest oil producer and most populous nation of about 170 million. A postponement also will give electoral officials more time to deliver some 30 million voter cards. The commission had said the non-delivery of cards to nearly half of the 68.8 million registered voters was not a good reason to delay the vote.